I can predict that you are a web enthusiast who would like to seize a ton of traffic from Google and other search engines! Thanks for being here, it is highly appreciated. There are many Google Ranking Factors and keyword research is the first thing to start with. So, do you want to research the keywords for your site and make your site Google friendly, right? Let me help you a bit! I’m not an SEO expert. I have been blogging since 2010 and hence aware of the best strategies to please the Google search engine. I’m still an SEO learner and always keep myself updated with the Google algorithms to play the game safely. Let’s get into the matter. Recently, I came across the blog post, Google RankBrain by Brian Dean, founder of Backlinko.com. It was a fantastic read! I have understood that the traditional keyword research still matters but we have to tweak the process and make the content RankBrain-friendly. 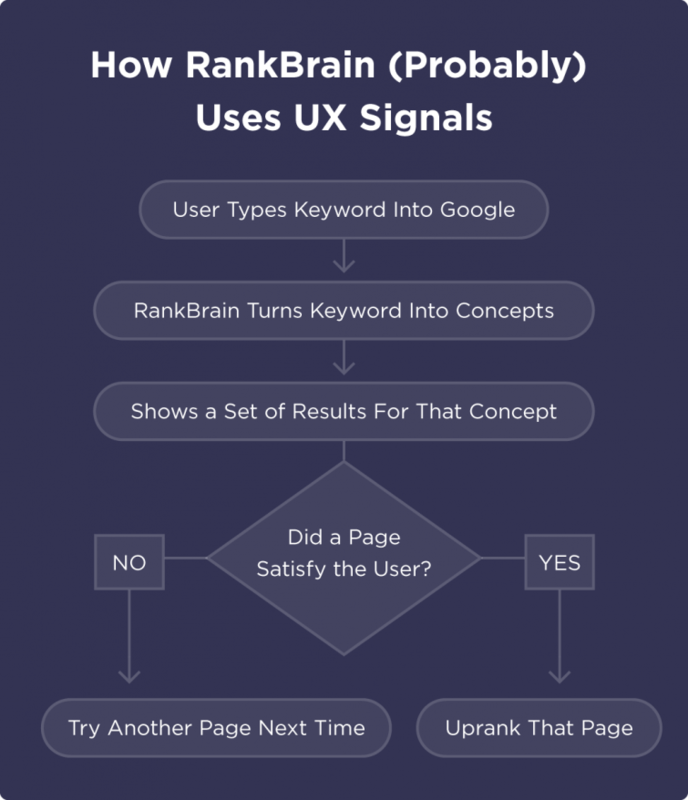 So, before getting the keyword research tips let me tell you few words about the RankBrain algorithm so that you will understand the purpose of optimizing the content for it. Google uses the live Artificial Intelligence, RankBrain to give the best results for the search query. This machine learning system was introduced in the year 2015 which is a part of Google Hummingbird algorithm. Through the blog post of Moz, I have realized that RankBrain works in 2 parts, Pre-RankBrain & Post-RankBrain. Pre-RankBrain – It looks for the detailed content, relevant keywords, backlinks, domain authority and other traditional Google ranking factors. Post-RankBrain – How your content serve the users? If your article satisfies the searchers, then you will be blessed with the high SERPs. Otherwise, you will have to move down in the search results. Have a look at the precise image, you can understand how RankBrain algorithm works. Now, you might think why am I talking much about RankBrain? Yes, there is a valid reason! This AI algorithm is brilliant, and you don’t need to focus on optimizing the content with Long tail keywords anymore. You may focus on optimizing the medium tail keywords because the RankBrain algorithm can well understand your content and keyword matches. Now, let’s come to the main topic! No doubt that the Google is intelligent! It interprets the concepts and displays almost the same results of short and long queries. So, you have to discover and use the better keywords to use in your content! Let me walk through the keyword search process! No matter whether you are a blogger, digital marketer, or the owner of a product or service, you must know who your visitors/customers are. Yes, you should learn how your audience can find your site. In simple words, you have to pinpoint the keywords relevant to your product/service that your target audience are searching for. You can also search to make money using Web Hosting Affiliate programs. Just think out of the box in different angles and understand what your target visitors’ requirements are! All these search quires are “Informational”, but you can convert them into the “Transactional” search queries through your convincing well-written content with the right keywords. Have your target audience in mind and understand the intention of their search; think about the questions they’re Googling for! Enter the seed keyword (main topic), and look at the Google auto-suggestion. People also ask and related search phrases showing at the bottom of the search results. Also visit social media communities, forums, Reddit and Quora, and you may come to know their wants or concerns. Now, don’t blindly take all the keyword suggestions! Collect the relevant keywords that are related to your main topic or features of your product or service. Shortlist 10 right search phrases (you may choose more, it depends on your article length) to include in your valuable content. Make sure to provide answer /solution to their question/concern. As I said earlier, Google can well understand your content if you use the synonyms of the main keywords. Get the meanings of the focus keyword and add them to your blog posts naturally. You may include these secondary phrases in the subheadings as well. When you use the similar search phrases, Google can quickly recognize what you are talking about. Here is a complete guide about the LSI Keywords that would help you get high SERPs. Focusing on the search volume and keyword difficulty is the main part of the keyword research and SEO as well. 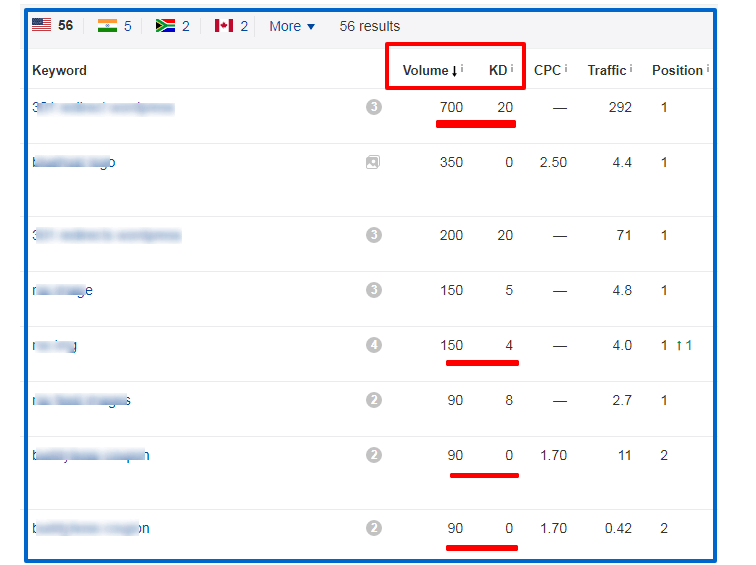 It would be better to choose the “Low competition keywords” with average monthly search volume and low keyword difficulty score. 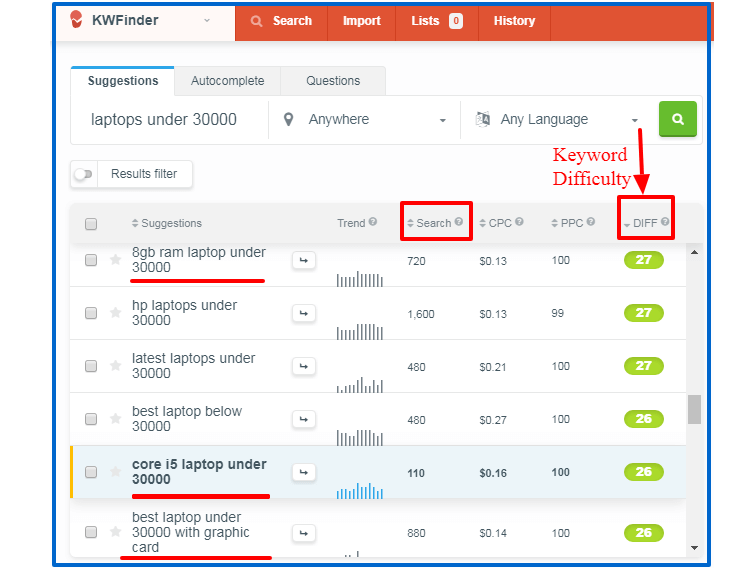 To find out the exact search volume and keyword difficulty score, it’s wise using the premium keyword research tools like Long Tail Pro, KWFinder or SEMRush. You want to write about “Cheap Laptops” but it is a broad search phrase! When I have given this keyword in KWFinder, I got the below results. The keyword result is perfect! It would be better go with any marked keywords as they are more specific, good monthly search volume and have low keyword difficulty score. If you don’t like the features of this paid keyword research tool, have a look at the best alternatives to KWFinder and buy the appropriate one. When you can’t find out such keywords, go with the terms that have the KD score 20 -30. The more competitive keywords that you focus, the more backlinks you need to be earned! If your target keyword has no competitors, then you will be the top and direct winner in the search results. However, getting the target keywords with no competition is a Rocket science. Every niche has some good players, maybe for your topics too. You should learn from them and identify which keywords bring them organic traffic. Ahrefs is the best competitor spying tool where you can grab the rankable keywords to use them in your content. As I discussed earlier, look at the search volume and keyword difficult score while taking down the keywords. For example, I have given my competitor URL in Aherfs tool, and got the following results; look at the organic keywords. When I clicked the “Top 3 Positions” (56), I got a few keywords with low keyword difficulty (KD) score. I would like to focus and include the marked keywords in the image. Glad you have learned how to spy your competitors’ ranking search terms in this keyword research guide. Google wants to offer the best yet relevant results for the search queries, and hence they keep on making the algorithms strict that would produce the better search results. If you want to get the targeted audience from the search engines to make sales or to get leads, then “Keyword Research” is a MUST-do task. Getting the right keywords is an essential part of SEO, and the semantic keywords will get you more sales/conversions. Decide who your target audience are, understand the user intent and reach them through your content with their search phrases. Just forget about the keyword stuffing and keyword density (repeating the main keywords several times) as they will not help you in any way. I hope that you got some useful tips for doing the keyword research in 2018 and beyond through my guest post. Do you have any more tips to narrow down the keyword research process? If yes, I would like to know those strategies in the comment section. Nirmala loves to dig into WordPress and shares her knowledge on wpglossy.com. She has a deep interest in analyzing the SEO algorithms and would like to write the informational content for her readers. Keywords play a great role in SEO. Finding perfect keywords is just as a valuable gem which can help you to rank better in search engines. Google’s recent Maccabee updates also create problems with keywords as it will target sites that are using same keyword variations or using keyword permutation. Thanks for sharing these great and helpful insights. Thanks for reading the post and leaving your thoughts. Yes! Getting the right keywords is the good SEO and key to the target audience as well. I aware of Maccabees Update and yes, we should not target the same keywords in several posts. You too have a good day. 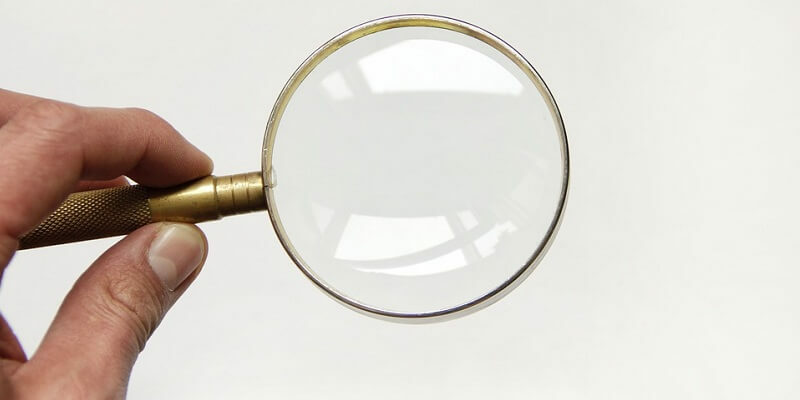 Great tips for doing keyword research. I have started focusing more on using the right keywords for my blog. When I first started my blog, I wasn’t focusing on keywords. However, if a blog is brand new, it’s harder to rank your posts for those really popular keywords. I’ve started focusing on the keywords with a lower KC score to help me get better rankings on Google. It’s so easy to just sit down and write without taking the time to do keyword research. Thanks for this great reminder to help us realize how important it is to write our blog posts based on keywords that our readers are actually looking for. Good to know that you are focusing on the keywords, make sure to get the right yet less competitive keywords. Before writing any post, you should have a list of related keywords in mind and hence you can craft the SEO-friendly blog posts. Thanks for getting time to read my guest post, keep doing your good work. Very Informative post. I am new to this blogging world and was searching some great websites to learn the art of blogging. I am blogging for last 3 months but hardly getting visitors. After reading your valuable article I must say I have to work a lot for improving my website’s SERP. I cannot spend money on Ahrefs, so can you suggest me any free tool like Ahrefs? Thanks for sharing such a precious piece of writing. Thanks for reading the post, good to know that you’re a newbie. Google Adword Planner is the best tool for doing the keyword research. However, you may use several free tools like keywordtool.io, the free version of SERPSTAT etc. 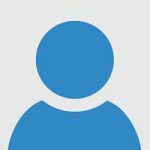 Catch me on LinkedIn, I’ll help you in getting the low competition keywords for your niche blog. Well for me, I’m not much into the SEO and hardly do the keyword research, but I think that I should start taking care of it. And I know that this exact content will definitely help me in understanding the keyword research. KWFinder, I heard a lot about it. Even many persons recommended it over Long Tail Pro and similar SEO tools. And the way you reviewed it, it makes it much easier to operate. Thanks for the compliments, means a lot. Keyword research is essential in hacking the search engine traffic and thus I strongly suggest you do it. Use the premium tools to get the accurate results. Yes, KWFinder is super awesome, just register and test its trial version. Thanks for adding your comment, have a good day! Google is evolving. It has a wonderful AI that it has become a lot easier to do SEO than before. Earlier we were forced to write for the search engines – but now it is much easier to create content. We just have to create genuinely useful content! The new SEO has kind of made the lines thin between pleasing people and pleasing search engines.